The three types of sourcing this article will look at are citations, footnotes and endnotes. Citations are in-text references, whilst footnotes and endnotes are references given at the end of a page or piece of work, using a numbering system with footnote or endnote markers. Your writing should be finished with a full reference list at the end, done in whatever style you have been asked to use, such as the Harvard referencing system. Citations are a useful way of letting your reader know what information you have gathered from a specific source. For example, if you are talking about a specific person’s research within your paragraph, or comparing two sources, it is a good idea to include names and dates next to the information you have gathered from them so as not to confuse your reader or be appearing to plagiarize. Naidoo and Wills (2000) discussed five approaches to promoting health. There are five approaches to promoting health¹ that are important to consider. Correct use of citations, footnotes and endnotes is an important thing to learn, especially when completing academic writing work. There are many other specific guides that can be found online to inform you of correct and incorrect use of sources within your work if you need more help. If you are attending an academic institute, they will often provide their own guide. It is also important to find out whether or not the reader/marker wants you to use these in your work. Naidoo, J. and Wills, J. (2000). Health promotion: foundations for practice. 2nd Edition. Edinburgh: Baillière Tindall. Rogers, A., Kennedy, A., Nelson, E. and Robinson, A. (2005). Uncovering the limits of patient-centeredness: implementing a self-management trial for chronic illness. Qualitative Health Research, 15(2), 224-239. [Peer Reviewed Journal]. Select the turnaround time you require from the options below. Upload your document and complete your purchase. Once complete, we will receive your document and begin proofreading. 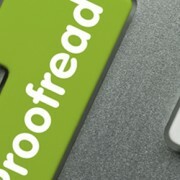 Proof Right is a leading English proofreading and editing service, providing professional proofreading and editing services to students, businesses and to authors. We have an expert team of editors and specialise in providing high quality, professional, personalised proofreading services.